THE TOY FEDERATION :: Comic Exclusives :: IDW Publishing :: IDW G.I. 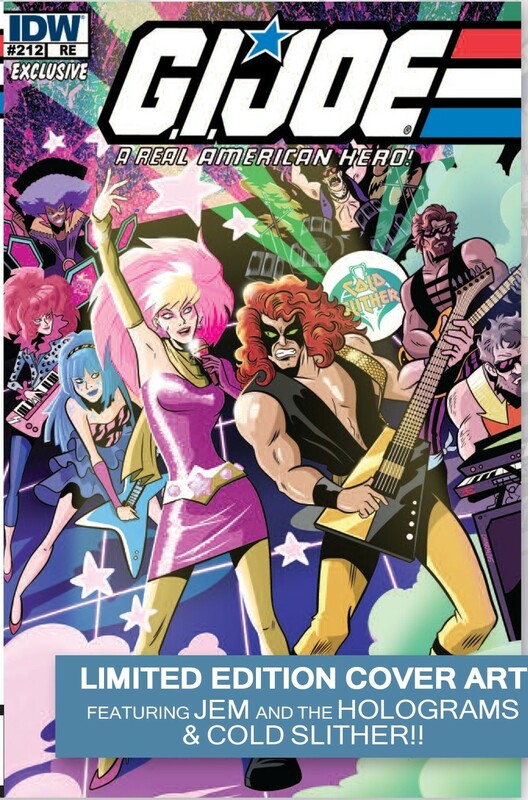 Joe #212 Joe Con 2015 Exclusive Comic featuring Jem & the Holograms and Cold Slither! Limited quantities remain of our Joe Con Exclusive.